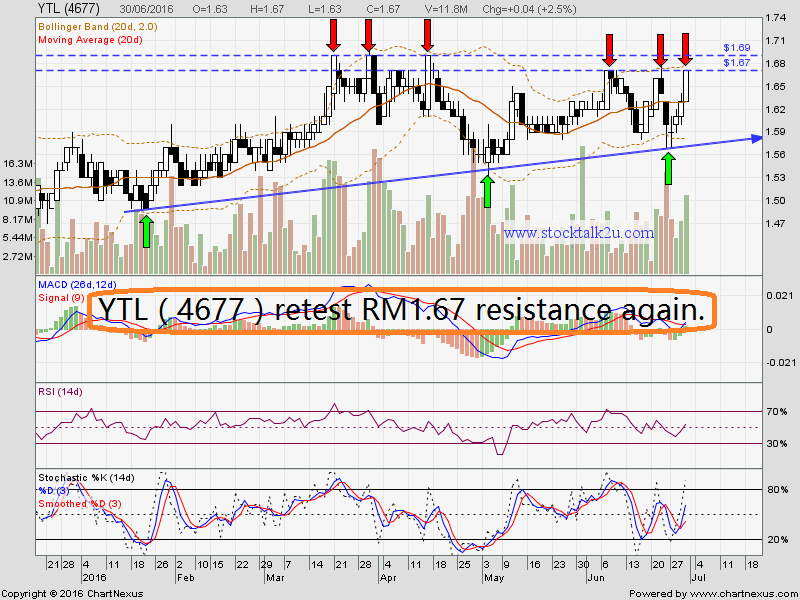 YTL formed 3 white soldiers & retest RM1.67 resistance level. Immediate support @ RM1.63 level. 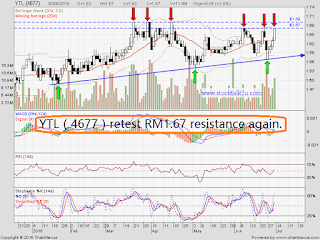 Subsequent support @ RM1.58 level.